Former Rangers duo Nacho Novo and Bob Malcolm have applied to become the new Glentoran manager. And after the east Belfast outfit missed out on persuading Ards boss Colin Nixon to move into the Oval office, Sunday Life Sport revealed other names in the frame now include ex-Glentoran and Northern Ireland striker Andy Smith, Lisburn native and one time Rwanda and Sierra Leone coach Johnny McKinstry, plus IFA Elite Performance Director Darren Murphy, who was previously in charge at Dungannon Swifts. Glentoran’s search for a new manager has been hit by rejections from Nixon and current Dungannon boss Rodney McAree, leading to some fans labelling the process to recruit a new boss as shambolic. McAree met with the Glens only to sign a new three-year deal at Stangmore Park and it was the same story with former club captain and record appearance holder Nixon who, after a dramatic few days, opted to remain at Ards. Tommy Breslin was also on Glentoran’s radar but the ex-Cliftonville boss was not interested. 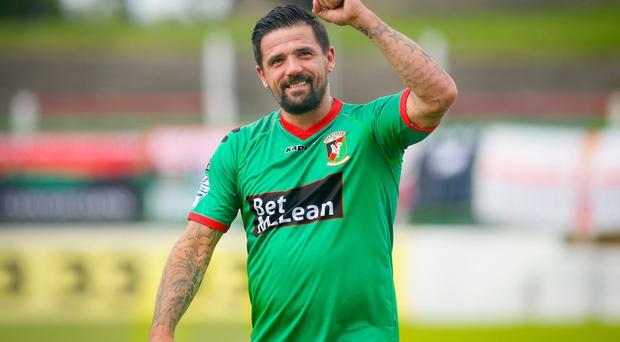 Novo firmly believes he is the man to turn Glentoran’s fortunes around. Keen to show his coaching ability, Novo — who played for the Glens last season — wanted the manager’s job when Alan Kernaghan left The Oval two years ago but lost out to Haveron despite planning to bring Ibrox legend Ian Durrant with him on to the coaching staff. Novo has recovered from a heart-attack suffered in January while representing Rangers Legends in Berlin and recently opened a bar in Glasgow, but feels he has unfinished business at Glentoran. 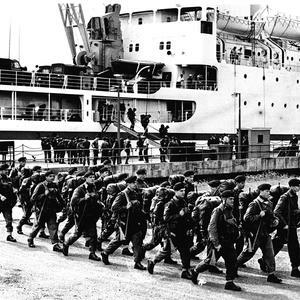 Fellow ex-Gers star Malcolm would also relish a shot at rejuvenating the Glens. He was assistant coach to Barry Ferguson at Blackpool and Clyde and caretaker manager of the latter for a short period. Much travelled Northern Ireland international Smith almost won the clean sweep with the Glens in 2003. He went on to play in England and Scotland before returning home where he featured for Portadown, Ballymena United and Crusaders. He has since coached in Portugal, Bulgaria and England and would welcome a crack at management. Former Glenavon, Linfield and Portadown midfielder Murphy is currently working with the Irish FA as an Elite Performance Director. In the Glentoran boardroom he has admirers who feel his knowledge of the Irish League makes him a genuine candidate. McKinstry appears left field but has earned plenty of respect around the globe for his coaching in Africa, America and Europe. He is perhaps best known for guiding Rwanda to the quarter-finals of the 2016 African Nations Championship. Prior to that, he was head coach of Sierra Leone from 2013 to 2014 and, at 27, was the youngest boss in international football. The legendary McFall, now in his second spell as boss at Glentoran following an incredible 29-year managerial reign at Portadown, has stated he will leave at the end of this campaign having made that promise to his wife Anne when he took the job two months ago.